SINGAPORE: For a fourth straight year, Singapore is the country of choice for expatriates, although its high cost of living and poor work-life balance were noted.The HSBC’s Expat Explorer Survey 2018, released on Oct 10, showed that Singapore scored well across a broad range of measures – third place in the league tables for economics, fifth for family and sixth for experience, which includes culture, safety and healthcare. The survey was based on interviews with 22,318 expatriates in 163 markets worldwide in March and April this year. More than half (56 per cent) of the 524 expats interviewed in Singapore were aged between 35 and 54. 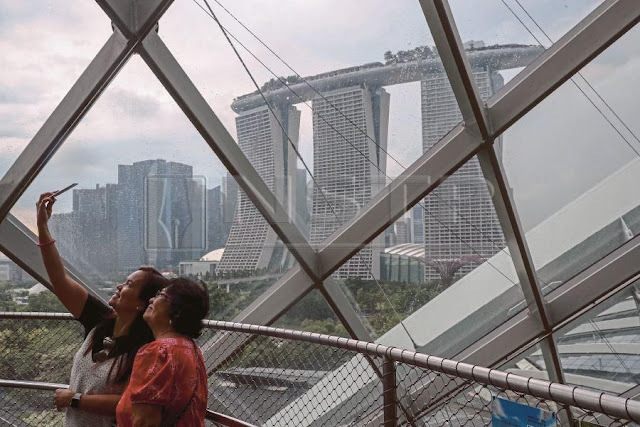 "Singapore packs everything a budding expat could want into one of the world's smallest territories," HSBC said, pointing to the huge number of perks on offer. For example, many expatriates interviewed mentioned the better environment here for families, and considered the quality of childcare and education in Singapore better than that of their home countries. Almost three quarters of expats with families said that their children's overall quality of life here is better, with 60 per cent observing an improvement in their children's health and well-being. The top reasons given for moving to Singapore were career progression (45 per cent), to improve earnings (38 per cent) and to improve quality of life (36 per cent). The move has worked out for most of them, too, as 65 per cent have more disposable income than they did at home, thanks to a 29 per cent increase in salary. However, Singapore did not fare as well in terms of work-life balance and the amount of stress faced. Those who work full-time said that their work-life balance is the same as or worse than it was back home, and almost half (46 per cent) said that the levels of stress at work are higher than in their home market. There were also concerns about the cost of living, with half of those interviewed saying they could not afford to buy property here. More than one-third were also concerned about being able to set aside enough for their retirement. 0 Response to "Singapore world's best country for expats: HSBC survey | New Straits Times"